Recent translations into English (with analysis) of two key period works on glassmaking have made this subject more accessible. A batch book of about 1560 and the most important book from the Renaissance on glassmaking are now readily available. 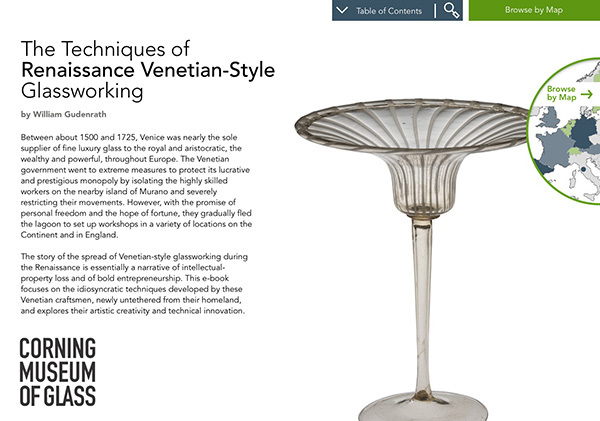 See Glass Recipes of the Renaissance: Transcription of an Anonymous Venetian Manuscript, ed. Cesare Moretti and Tullio Toninato, English translation and additional notes by David C. Watts and Cesare Moretti, [Barnet, U.K.]: Watts Pub., 2011; and Antonio Neri, L’Arte vetraria = The Art of Glass, translated and annotated by Paul Engle, 3 vv., Hubbardston, Massachusetts: Heiden & Engle, 2003–2007.